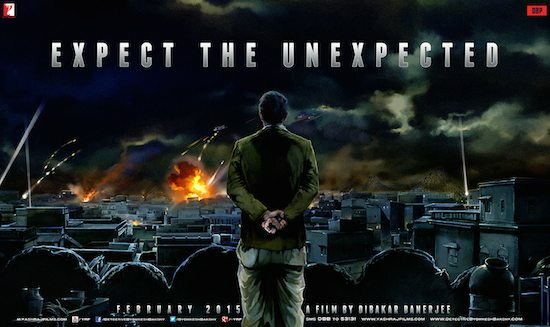 Yash Raj Films released the Detective Byomkesh Bakshi trailer last night. Yash Raj Films used the occasion of Diwali to release the trailer of their latest movie, that features Sushant Singh Rajput in the lead – ‘Detective Byomkesh Bakshi’. As a symbol of all the wrongdoings being done at night, the detective movie was released at 12 midnight on October 24, 2014. However, before the launch of the trailer, Yash Raj released 3 six-second teasers on Vine. The 3-second trailers were a build up to the 12 am launch of the full teaser on YouTube. The movie will be directed by the ‘Shanghai’ director, Dibakar Banerjee and is slated for release on February 13, 2014. In the movie, Sushant Singh will be playing the role of Byomkesh Bakshi, who will a solve case and save the world from an evil genius. The story is set in Kolkata (Calcutta) in 1943.